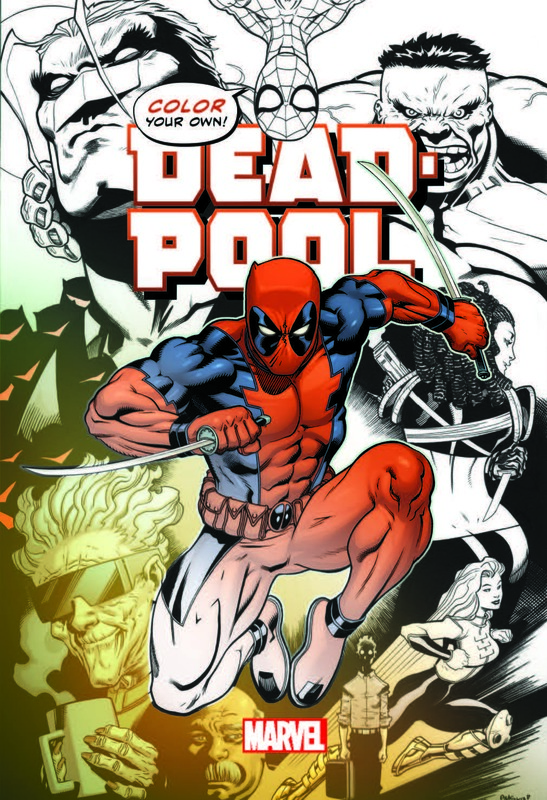 New Deadpool Coloring Book Coming in 2016! Leave a Comment on New Deadpool Coloring Book Coming in 2016! Marvel has announced that everyone’s favorite Merc with a Mouth will be getting his own adult coloring book. The book, titled Color Your Own Deadpool, will be hitting shelves in 2016, just in time for Deadpool’s big-screen debut! After a long day, there is no better way to unwind than by using one of these coloring books. And what could be more stress-relieving than sitting down for a night of coloring with none other than Deadpool? Jam-packed with 120 pages of incredible Deadpool content, fans of all ages can now become a part of the creative process as they bring to life artwork from a variety of Marvel’s biggest artists! With the upcoming Color Your Own Deadpool book, you can channel your creative energies and unwind after a long day at work by spending some quality time with the Merc with a Mouth. Look for the Color Your Own Deadpool book this January! For all of your Marvel content, keep it here on NYCityGuys! Previous Entry The “French Invasion” of Comics Begins: Delcourt Group Debuts in English on Comixology! Next Entry Rocky Horror Picture Show POP! Figures Coming This September!